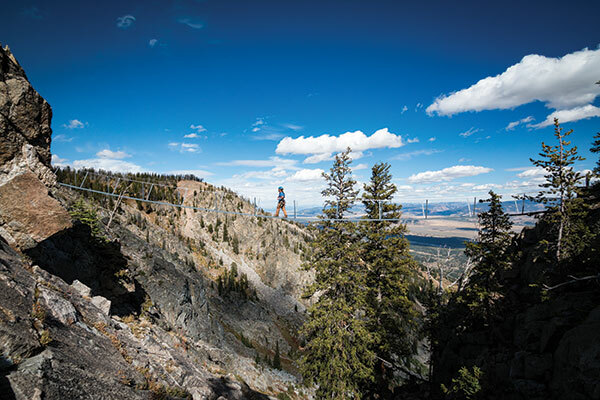 Whether hiking the trails of Jackson Hole Mountain Resort in the summer, or carving turns down the slopes when the flakes are flying, it’s easy to develop a deep appreciation for the resort’s pristine mountain environment. And it’s not surprising that those operating the world-class resort are ecologically sensitive people who work diligently to ensure the local ecosystem stays intact as they work to combat climate change. The resort has incorporated a number of sustainability measures into its operations over the years. Currently, some trucks and other resort vehicles are retrofitted to run on 100 percent waste vegetable oil collected from resort restaurants, while others run on biodiesel. To date, the resort has already reduced greenhouse gas emissions by 15 percent. 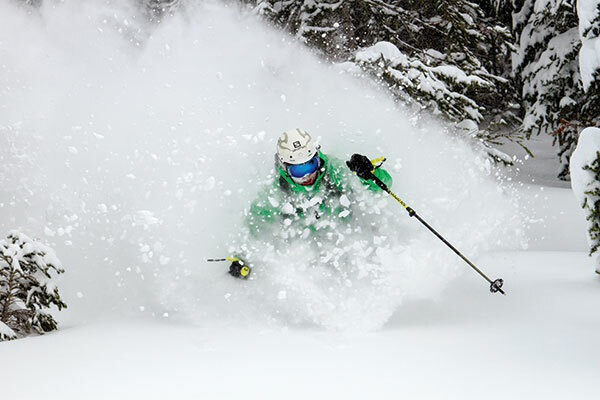 And by 2020, in concert with the Jackson Hole Energy Sustainability Project, it plans to reduce greenhouse gas emissions per skier visit by 5 percent more, relative to a 2015 baseline. It also plans to divert a large percentage of its municipal solid waste to recycling and composting. Situated in the Tetons, Jackson Hole MountainbResort is part of the 34,375-square-mile Greater Yellowstone Ecosystem, which is “one of the largest nearly intact temperate-zone ecosystems on Earth,” according to the National Park Service. Resort users can see into neighboring Grand Teton National Park and can hike or ski into the park’s backcountry directly from the resort. The resort also participates in the charter commonly referred to as “Sustainable Slopes,” sponsored by the National Ski Areas Association Climate Challenge Program, which was implemented in 2000 to address climate change and environmental concerns. The charter’s primary efforts include water use, water quality, wastewater management, transportation efficiency efforts, and energy reduction for snowmaking, ski lifts, and vehicle fleets. "Jackson Hole Mountain Resort is perhaps more keenly aware of the threat to our environment posed by climate change than other industries, for obvious reasons." On the local level, Jackson Hole Mountain Resort partners with Yellowstone-Teton Clean Cities to promote public outreach on alternative fuels and reduce petroleum and emissions footprints. The group also assists in fleet management and fuel conservation studies, and the resort participates in its own vehicle-related sustainability efforts including the conversion of vehicles from running on gasoline to recycled vegetable oil and replacing two-stroke snowmobiles with more environmentally-friendly E-tec and four-stroke models. Additionally, the resort has been a member of the “1% for the Tetons” initiative for several years, donating one percent of its annual profits to local conservation projects. On the other side of the Tetons, Alta, Wyoming’s Grand Targhee Resort is also committed to reducing the impacts of climate change. Its goal is to reduce emissions by 2 percent by 2020. Grand Targhee has partnered with Fall River Electric’s LED Lighting Retrofit Program, and has completed a major lodge bathroom renovation with LED lights, low flow toilets, and Airblade hand dryers. It also participates in the Protect Our Winters program which is the foremost climate advocacy group for winter sports communities. With nearly 200 resorts signing on to the Sustainable Slopes environmental charter, industry leaders are working together to protect the future of skiing. And the targeted ecological and energy reduction efforts of local resorts are certainly helping to protect the environment to let mountainn lovers ski their way into the future.